Italian wine lovers need to join an Italian wine club. There are 350 official Italian grape varietals and you will never discover them all if you don't have help. Find the best examples of Italian wine, and customize the club to suit your palate. inClub is a totally customizable wine club where you choose everything or let them choose for you. The best part? If you change your mind later, they have every kind of wine you can think of and you can completely customize your shipments. No other wine club has ever, and probably will ever, deliver this level of customization. You want it? You got it. It's perfect for any oenophile. We'd love to see Invino extend the inClub value even further by offering a case club. We can't find a link to inClub - Italian Wine Club. Please have a look around our site to see if you can find something else you'd like. Note: This photo is of a mixed selection of wine we received from Invino. We did not receive the inClub - Italian Wine Club. 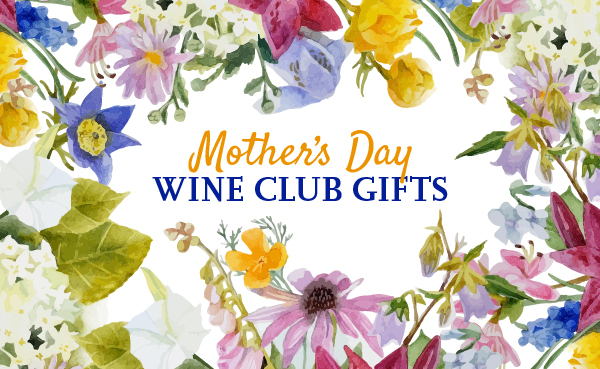 The inClub is a special wine club, specifically geared for regular wine buying (as opposed to wine gifting). They’re working hard to make it a good fit for the full gamut of wine drinkers who might be interested in a wine club, but they really knock it out of the park for the sophisticated, knowledgeable enthusiast type. For those of us with more predictable tastes, inClub has produced a number wine clubs they suspect we'd enjoy. This is the inClub Italian Wine Club by Invino. Everyday wines are those you’d find in an Invino sales event for $15 or less. Invino prices are always 30-70% below actual retail. Premium wines are those you’d find in an Invino sales event for $15-30. Invino prices are always 30-70% below actual retail. Special Occasion wines are those you’d find in an Invino sales event for $30 or more. Invino prices are always 30-70% below actual retail. Take a taste tour of Italy's wine country every month with this shipment of authentic Italian favorites. You'll receive a thoughtful selection of Italian Reds and Whites, sourced from top producers and off-the-beaten track artisan wineries. Travel to Italy to uncover rare treasures and family secrets? You bet we do, and each wine is an expression of Italy and our determination to seek out the very best. You simply won't find a more interesting, eclectic, unusual wine club anywhere else. You've always thought of Italy as "red country," but this club offers a unique look at some top-quality white wines from centuries-old regions. Asti, Gavi, Orvieto, Soave... the varietals themselves are an education in Italian culture. You're guaranteed to indulge in wines you've never seen or heard of— each delivery is bursting with surprises. Remarkable Italian Reds take center stage in this club, created for wine lovers who seek out Old World style. Food friendly, fruit-forward and always fabulous, Italian Red Wines are so versatile. This monthly delivery brings terroir-driven tastes to every glass. Our Tasting Panel guarantees that every drop reveals authentic Italian characteristics, and our Sourcing Team seeks out only the top producers from Italy's most sought-after regions. Customize Your Italian Wine Club! The default configuration for the Italian Wine inClub includes only wines from... Italy! Cleverly designed to be precisely as personalized as you want it to be, you can customize this Italian wine club as much as you want. It's a really interesting way to think about a wine club if you have a strong preference for Italy, but only certain regions or varietals and blends. The number of bottles per shipment may vary. They’ll provide you with the class of wine you asked for and stick to your budget, but that may mean they have to make some judgement calls on how many bottles to ship. This could be more variable if you’ve also selected varietals or regions that are hard to source for your budget. You can change your mind as often as you want Have wino guests coming to stay for a week? Double your shipment next month. Almost the holidays and you need gifts for every party you attend? Upgrade to $149 and have plenty of wine on hand. Big anniversary next month? Switch your selection to Special Occasion wines and make it a dinner to remember. This a bespoke wine club designed to fit each wine drinker like a glove. If you're not familiar with Invino, maybe we should fill you in! Invino is a wine flash sale site where they offer their members exclusive deals on great wines for a limited period of time. An example of this (below) we took a screenshot of on review day to exemplify their awesome deals. A $12 Umbrian Red Blend (retail value of $24) is an exceptional price for this 90pt Merlot/Cab blend. While we applaud the inClub and the completely amazing customization they’re offering, their website requires patience, and lots of it. Of course the reward is never having to run down to the local wine store to ask that surly gentleman what he thinks is a good wine, and you’ll always get wine you like, or you can get your money back with Invino’s Palate Guarantee (something that local wine store won’t offer you).